• One of the most nutrient-dense berries in the world! The acai berry is a dark purple fruit resembling a blueberry that grows on the acai palm tree deep within the Amazon rainforest. It is widely known as a Brazilian superfood due to its nutrient profile, which includes the antioxidant vitamin C, and is often considered one of the most nutrient-dense berries in the world. BareOrganics cultivates berries from the finest sources to preserve the flavor and freshness of this versatile fruit. 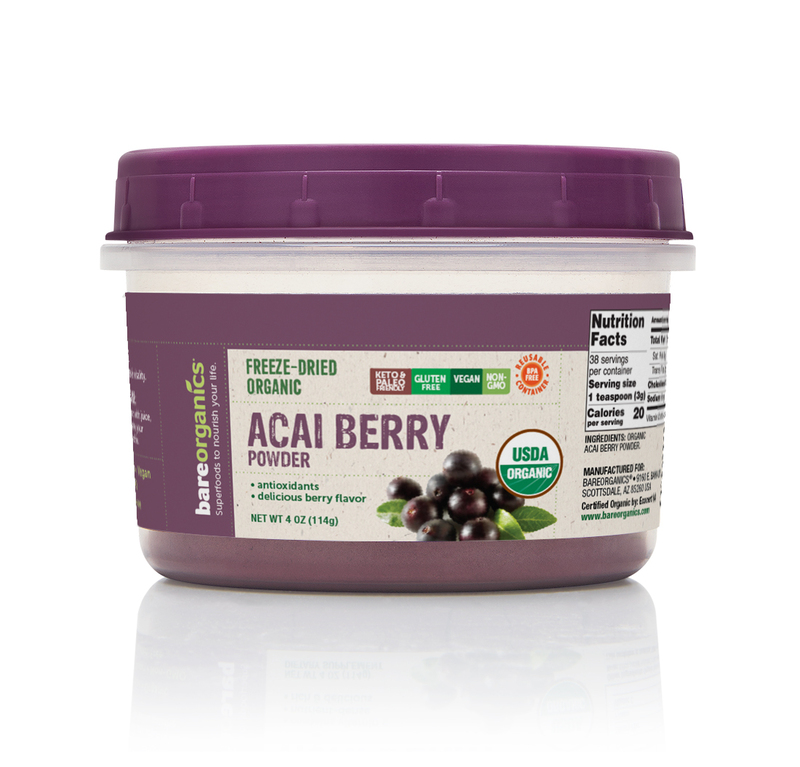 Acai berries contain healthy fats and essential micronutrients to promote overall health and wellbeing. Iron, Vitamin C, calcium and fiber mixed with a low concentration of sugar lends acai berries to supporting immunity, digestive health and skin health. Our mission is simple, like our foods. We're all about real nutrition for real people, and we believe that real nutrition starts at the source. BareOrganics products are made with whole, raw superfoods packed with unique micro and macronutrients to support overall health and vitality the natural way. 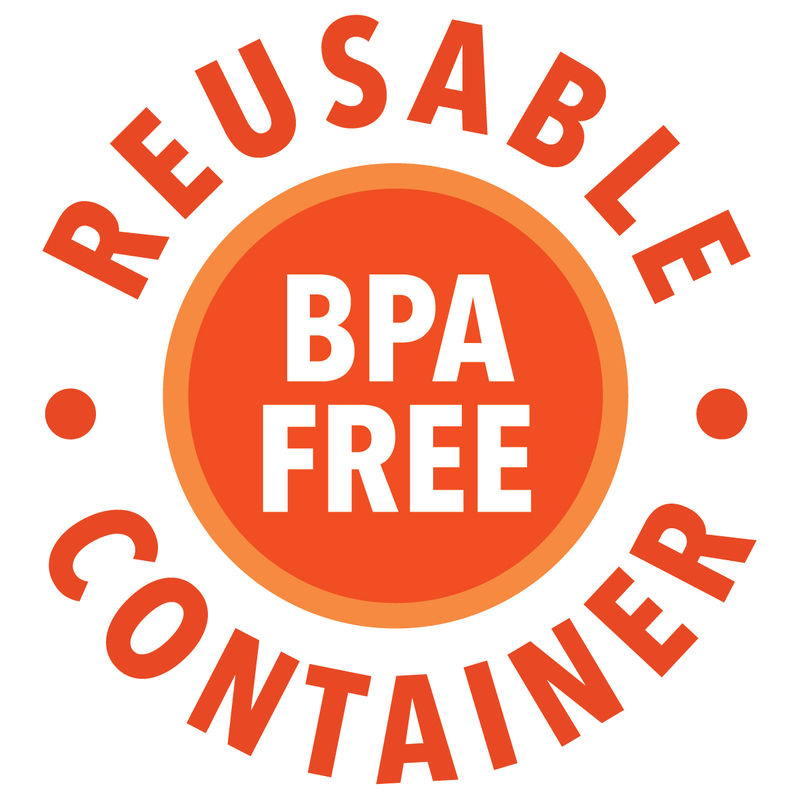 After scouring the world for the most exotic, beneficial ingredients, we've created a diverse line of unique superfoods that make accessing optimal health and wellness as easy as popping the top off our recyclable, reusable lids. We use superior sources and processing to create each and every powder, meaning there's no need to worry about harsh chemicals or preservatives weighing you down. Freeze-drying and low temperatures preserve integrity and freshness, making it that much easier for your body to recognize and utilize the nutrients in our natural, whole foods. All of our superfoods are USDA Certified Organic, Chemical-Free and Non GMO. Life's complicated. Eat Simply. Mix 1 scoop with juice, yogurt, or add to your favorite smoothie.